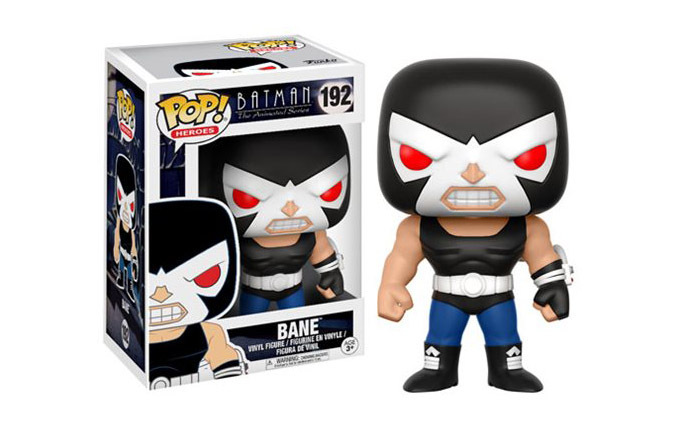 Originally introduced in the comics, the Batman: The Animated Series Bane Pop! 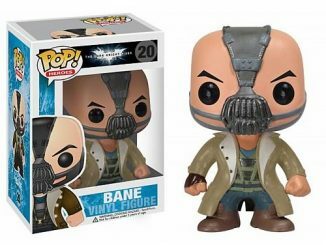 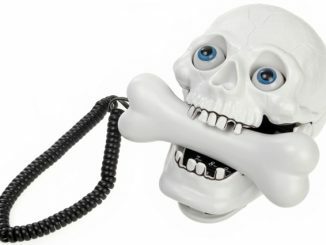 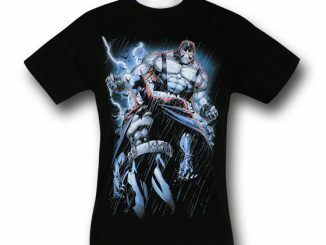 Vinyl Figure give the Venom-enhanced villain an animated twist. 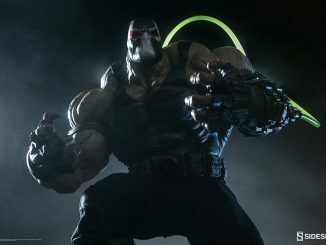 Fans of Batman: The Animated Series might have missed this baddie if they blinked because he only appeared in one episode, which just happened to be titled ‘Bane.’ The muscle-bound bad guy did, however, continue to torment Batman in The New Batman Adventures. 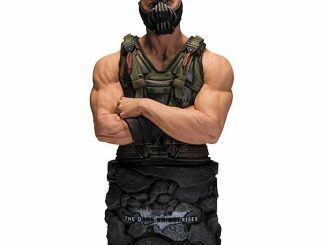 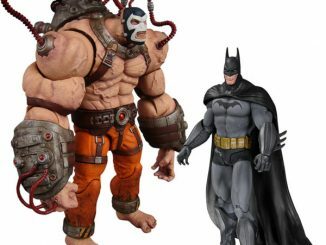 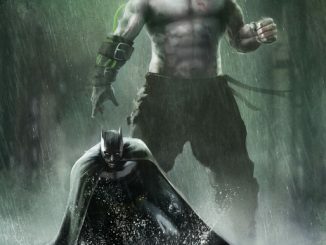 Standing approximately 3 3/4-inches tall, Bane is ready to give the Dark Knight a bone-crushing hug that he’ll never recover from. 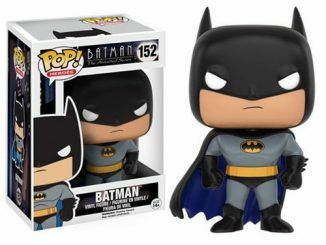 He’s also ready to join Batman’s impressive roster of Pop! 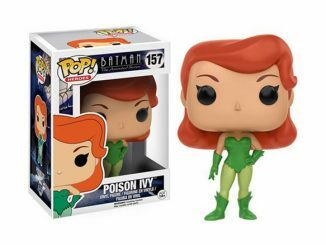 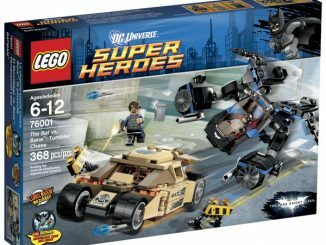 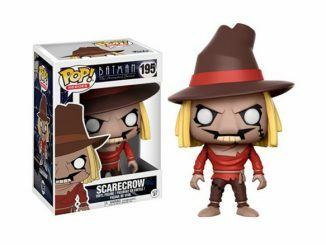 Funko villains that includes Poison Ivy, Scarecrow, and Catwoman.